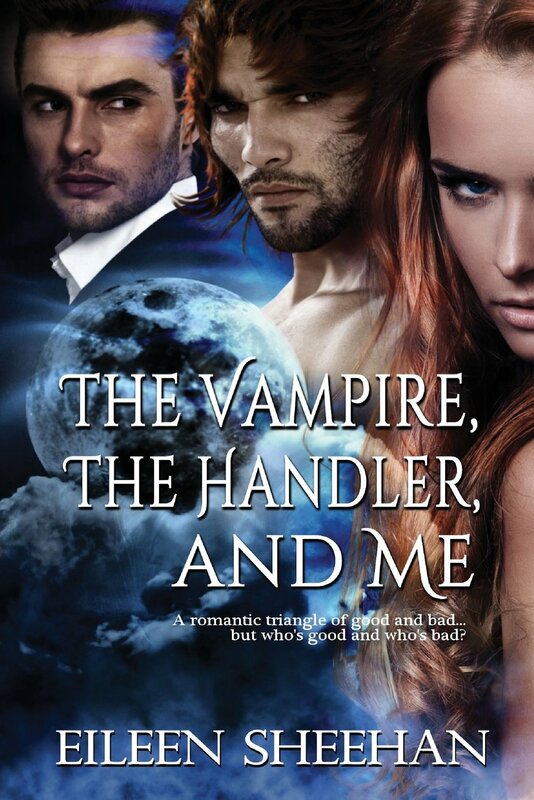 THE VAMPIRE, THE HANDLER.AND ME BY EILEEN SHEEHAN A MUST HOT READ!!!!! Welcome to my stop on The Vampire, The Handler, And Me Tour. Published by Eternal Press on September 1st 2015, you can read more about this book below! In a romantic triangle of good and bad, it’s hard to tell who to trust. Lizzy Ewing is caught between two enemies; the handsome vampire, Nevi, and the hunky handler, Geoffrey. A handler herself, Lizzy must choose between Nevi and Geoffrey. One wants her for all the right reasons and one doesn’t. Will she discover who is who before the bad destroys the good? Curl up with your e-reader or paperback and lose yourself in Eileen Sheehan’s exciting paranormal/fantasy world of magic, time travel, vampires, shape shifters, werewolves, and more! You’ll grab the edge of your seat, befriend -and maybe fall in love with- her heros and heroines and have a laugh or two as you enjoy her fast paced novels for readers of most ages. ← COVER REVEAL FOR REBUILDING TRUST BY ELISON GRACE ITS HOT AND YOU’RE GONNA WANNA GET IT! !